Robbie’s life has improved since coming to Thornwood. 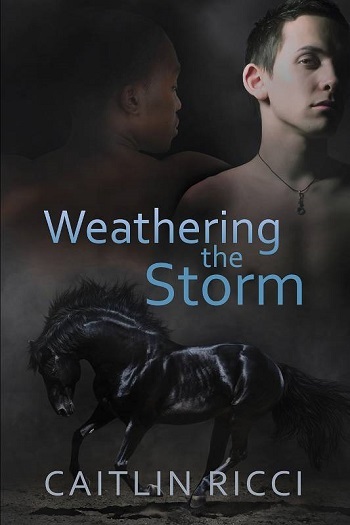 Dan is safely behind bars where he can no longer hurt Robbie, his boyfriend, Sam, is loving and supportive, and he finds tranquility while riding his horse. But Robbie still faces obstacles. Dan’s abuse haunts him, and the repercussions don’t end there. One brother’s pain and another’s rage threaten to rip Robbie’s family apart. Sam cherishes his time riding with Robbie and the peace they find when they’re alone together. He’d do anything to preserve that happiness for Robbie, but the world and its problems are never far behind them—and they’ll need all their strength to deal with what might be their biggest challenge yet. This is the second book in the Ricci series. While I was glad that this series has continued, this book had some definite ups and downs. Daniel is still sour about his life, the direction it's headed and confused. Not only does he take it out on his youngest brother, but on Robbie, still, too. He is mean, unsympathetic, and vindictive. It was a relief when he decided that he needed to leave. Sam and Robbie are trying to navigate their relationship. It's new, but something that they both need and deserve. Even though there are some communication issues between the two, they seem to know when and how to push. Sam knows that if he gives Robbie his full support, that even though Robbie is struggling right now, they will come through together. Robbie is it for Sam. Robbie is struggling with what was revealed during the first book – his father's identity. Does he pursue a relationship with him? Will it help heal his broken heart? This book reveals a lot more of the dynamic between brothers, Robbie and Sam's relationship, and the relationship between the kids' guardian. The chemistry between the lovers was lukewarm at best – but I think that this book was about more than their relationship. But, because this book was about more than their relationship, it seemed to have so much going on that there was a lot to digest in a short amount of time. Overall, this was just okay for me. For reviews & more info, check out our Weathering the Storm post. Caitlin began writing when she was in middle school but it wasn't until 2012 that she first got up the guts to submit something to a publisher. That first short story was accepted and later that same year she quit her job and became a full time author. She is forever grateful to her readers for giving her first short story a chance and for their continued support as well. Caitlin was fortunate growing up to be surrounded by family and teachers that encouraged her love of reading. She has always been a voracious reader and that love of the written word easily morphed into a passion for writing. If she isn't writing, she can usually be found studying as she works toward her counseling degree. She comes from a military family and the men and women of the armed forces are close to her heart. She also enjoys gardening and horseback riding in the Colorado Rockies where she calls home with her wonderful fiancé and their two dogs. Her belief that there is no one true path to happily ever after runs deeply through all of her stories. 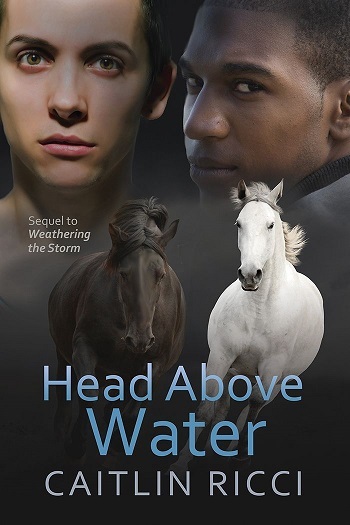 Reviewers on the Wicked Reads Review Team were provided a free copy of Head Above Water (Robbie & Sam #2) by Caitlin Ricci to read and review.